Boggle Jr. and Magic Rocks are two fun ways to support beginning reading and writing. Boggle Jr. has everything you need to get started and magic rocks are easy to make on your own. I stumbled upon this Boggle Jr. game at a garage sale. To be honest I have no idea how to really play this game, but B has a great time matching up the letters with the dice to spell whatever the picture is. 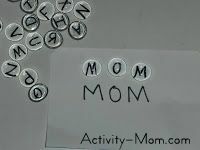 After he gets all done matching them up he announces, “That spells ___!” This has been a great activity for letter identification, matching, and experimenting with how letters make words. This Magic Rocks activity has a similar concept. I bought these clear stones (usually found in the artificial flower section) for $3 and wrote the letters on the back of the stone. I had a hard time writing the letters backwards so they would show up the right way on the front but it was worth the time it took me to get it figured out. I think they are adorable. I wrote our family’s names and other words B likes to spell on index cards and he puts the magic rock above the corresponding letter. I love those magic rocks! And yes, there are “rules” to Boggle Jr but what B is doing is great! I love using games and game parts to explore all kinds of ideas. I love how he is using the Boggle Jr. Brilliant! 🙂 And I really like the magic rocks idea too. I’m going to have to see if the same thing will work on some of my colored glass pebbles! Thanks for some great ideas! Really fabulous ideas! 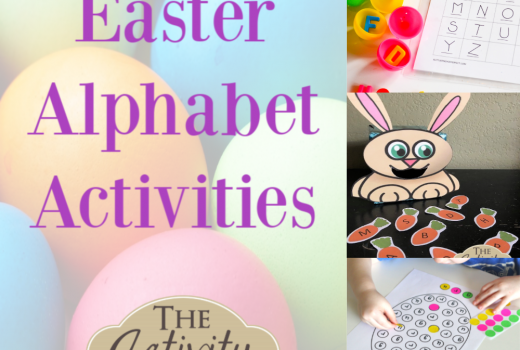 My preschooler would love these activities! I love both of those ideas, made me wonder if it could work to do it with shrinky dinks. I have to go get me some rocks! Love it! another one I love, love, love!! I think I have these rocks sitting in a now-empty fishbowl somewhere. . . 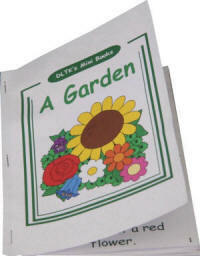 I have tons of those florist marbles and I was just about to order lower case alphabet tiles for 14 dollars! You just saved me so much money:) Thank you!!! I love the magic rock idea! 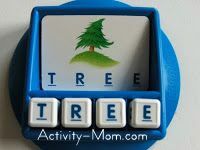 We are just starting to get into spelling things out–been using foam bathtub letters so far, but this would be a great way to take it to the next level. I tried this but the letters rub off. What kind of pen did you use? Did you use something to cover the back after you wrote on it? I used a black sharpie and gave it a minute to dry. It shouldn’t come off with a permanant marker. i found these stones at the dollar store this week. just wrote them out! can’t wait for my daughter to test them out. thank you! These also work with letters cut from magazine and attached with Modge Podge. I love those too! Very colorful.